PAKENHAM, ON – Ontario beer news website Mom’n’Hops reports that a new brewery is aiming to open later this year in a village near Ottawa. Cartwright Springs Brewery is setting up shop in Pakenham, just over a half-hour west of Ottawa in the National Capital Region. Founded by business partners André Rieux and Eduardo Guerra, the brewery will produce beer using water from springs in the nearby namesake Cartwright Creek. Four brands are planned to be available at launch including Smash IPA (“a delicious blend of citrus and floral aromas”), Kölsch (“lower alcohol and moderate bitterness”), American Pale Ale (“classic American hoppy bitterness that is balanced by relatively high alcohol content”) and Chiflado (“a hint of blackcurrant in this well rounded nutty ale”). 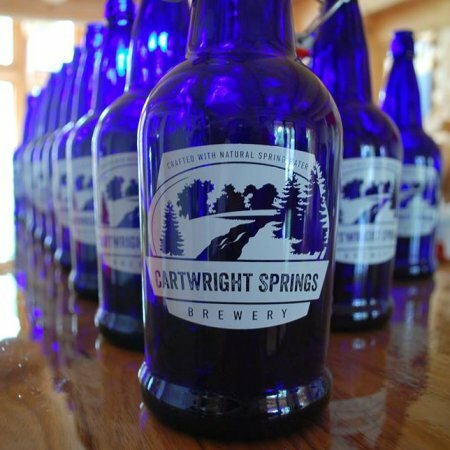 Cartwright Springs Brewery is intending to be open by October. For more details, see the brewery Facebook page.